As Japan battles to prevent a meltdown at its Fukushima nuclear plant, the people of Ukraine are preparing to remember the 25th anniversary of the world's worst nuclear accident. Any Ukrainian over 35 can tell you where they were when they heard about the accident at the Chernobyl plant. The physical and financial legacies of that disaster are obvious: a 30-kilometer uninhabited ring around the Chernobyl plant, billions of dollars spent cleaning the region and a major new effort to drum up 600 million euros ($840 million) in fresh funds that Kiev says is needed to build a more durable casement over the stricken reactor. Just as powerful are the scars that are less easily seen: fear and an abiding suspicion that despite the reassuring reports by authorities and scientific bodies, people may still be dying from radiation after-effects. While debate about the health impact continues, there is little doubt people in Ukraine and neighboring Belarus carry a psychological burden. Repeated studies have found that "exposed populations had anxiety levels that were twice as high" as people unaffected by the accident, according to a 2006 United Nations report. Those exposed to radiation were also "three to four times more likely to report multiple unexplained physical symptoms and subjective poor health than were unaffected control groups." There are, of course, crucial differences between Chernobyl and the disaster unfolding in Japan. The Chernobyl accident was the product of human error when a test was poorly executed, while the Japanese failure was triggered by an earthquake and tsunami. Chernobyl occurred in a secretive Soviet society that reformer Mikhail Gorbachev was only just opening up. The authorities embarked on an attempted cover-up and only partly admitted the truth three days later, denying themselves the chance of rapid international aid. Despite criticisms that Tokyo could be a lot more transparent, Japan's disaster has taken place in a relatively open society, and international help has been quick to come. Most important, thick containment walls at the Fukushima plant shield the reactor cores so that even if there was a meltdown of the nuclear fuel, it's unlikely to lead to a major escape of dangerous radioactive clouds into the atmosphere. At Chernobyl, there was no containment structure. Despite those differences, though, the Chernobyl experience still contains lessons for Japan and other countries, said Volodymyr Holosha, the top Ukrainian Emergency Situations Ministry official in charge of the area surrounding the Chernobyl plant. "We were not ready for it — neither technologically nor financially," Holosha told reporters in Kiev last month. "This is a priceless experience for other countries." In the early hours of April 26, 1986, in the model Soviet town of Prypyat, a satellite of the much bigger Chernobyl, workers at a nuclear power plant demobilized the safety systems on Reactor No. 4, which had come online only three years earlier. It was a risky experiment to see whether the cooling system could still function using power generated from the reactor alone in the event of a failure in the auxiliary electricity supply. It could not. There was a massive power surge that blew off the reactor's heavy concrete and metal lid and sent smoldering nuclear material into the atmosphere. Dozens of plant staff died on the spot or immediately afterward in hospital. Hundreds of thousands of rescue workers, including Soviet Army conscripts, were rushed to the site to put out the fires, decontaminate it and seal off the damaged reactor by building a concrete shell around it. At first, authorities denied there was a problem. When they finally admitted the truth more than a day later, many thousands of inhabitants simply picked up a few of their belongings and headed off — many of them to Kiev, 80 kilometers to the south, never to return. The makeshift concrete shelter hastily thrown up in the months after the explosion is often referred to as a "sarcophagus," a funeral term made even more fitting by the fact that it houses the body of at least one plant worker who rescuers were unable to recover. The official short-term death toll from the accident was 31, but many more people died of radiation-related sicknesses such as cancer. The total death toll and long-term health effects remain a subject of intense debate even 25 years after the disaster. The disaster "brought suffering on millions of people," said Holosha of the emergencies ministry. "About 600,000 people were involved in mitigating the consequences of the accident. About 300,000 of them were Ukrainians. Out of those, 100,000 are disabled now." A 2008 United Nations study cited a "dramatic increase in thyroid cancer incidence" in Ukraine and just across the border in Belarus. Children seemed to be especially vulnerable because they drank milk with high levels of radioactive iodine. "One arrives at between 12,000 and 83,000 children born with congenital deformations in the region of Chernobyl, and around 30,000 to 207,000 genetically damaged children worldwide," German physicians' organization IPPNW said in a report in 2006. Those figures are far lower than health officials had predicted. Indeed, the UN says overall health effects were less severe than initially expected and only a few thousand people had died as a result of the accident. But a 2009 book by a group of Russian and Belarussian scientists published by the New York Academy of Sciences argued that previous studies were misled by rigged Soviet statistics. "The official position of the Chernobyl Forum [a group of UN agencies] is that about 9,000 related deaths have occurred and some 200,000 people have illnesses caused by the catastrophe," authors Alexei Yablokov, Vasily Nesterenko and Alexei Nesterenko wrote in "Chernobyl: Consequences of the Catastrophe for People and the Environment." "A more accurate number estimates nearly 400 million human beings have been exposed to Chernobyl's radioactive fallout and, for many generations, they and their descendants will suffer the devastating consequences," they wrote. The authors argued that the global death toll by 2004 was closer to 1 million and said health effects included birth defects, pregnancy losses, accelerated aging, brain damage and heart, endocrine, kidney, gastrointestinal and lung diseases. 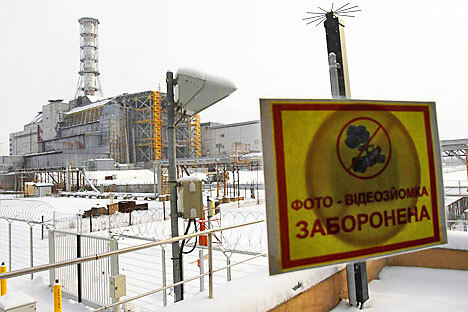 "It is clear that tens of millions of people, not only in Belarus, Ukraine and Russia, but worldwide, will live under measurable chronic radioactive contamination for many decades," they wrote. The most severe contamination occurred within the so-called Exclusion Zone, a circular area around the power plant with a radius of 30 kilometers that has been deemed unsuitable for living and is closed to unsanctioned visitors. Several villages and a whole pine forest in the zone were bulldozed and buried shortly after the disaster. Other small settlements are overgrown with trees and bushes that have made the red and white brick houses barely visible. Prypyat, built to house Chernobyl power plant workers and their families and with a bright future ahead of it as a model Soviet "atomgrad" town, had a pre-disaster population of about 50,000. Now it is a ghost town that greets its rare visitors with eerie silence. A shop building in the center is full of rubble and broken furniture — remnants of years of looting that the government could not prevent and that spread hazardous substances across the country. A portrait of Soviet state founder Vladimir Lenin lies on the floor, covered by a thick layer of dust. At a children's amusement park, a Ferris wheel due to be launched less than a week after the disaster is rusting away. Prypyat's residents, mostly young families, were evacuated in a six-hour operation that began more than 36 hours after the accident. In the days that followed, as the fallout was driven by a southeast wind across Belarus, the Soviet government evacuated thousands of people from other areas under threat. "We were evacuated on May 4," said Makar Krasovsky, 73, who lived in the Belarussian village of Pogonnoye 27 kilometers from the plant. "Children had been evacuated earlier, on May 1. Nobody knew anything. Nobody told us anything. The accident prompted former Socialist bloc nations to shut down reactors of the same design. But the Chernobyl plant itself kept running until 2000 when Ukraine agreed to shut it down after Kiev was promised European aid. The European Commission and international donors have since committed about 2 billion euros to projects aimed at cleaning up the area and securing the plant. Another 740 million euros remains to be raised: 600 million for the new casement and 140 million for waste storage facilities. Holosha said Ukraine itself has spent much more. "Since Ukraine gained independence, $12 billion has been spent on dealing with the consequences. Most of the expenditures were linked to maintaining the exclusion zone and providing health care and social assistance to those who had lived in the affected area." The key new project at the plant is the construction of the so-called New Safe Confinement — a massive convex structure that will be assembled away from the damaged reactor and then slid into place over the existing sarcophagus. The original concrete tomb was built hastily, is supported in part by the damaged walls of the reactor building and has already had to be reinforced. The new structure is designed to last 100 years and should allow the reactor to be dismantled without the risk of new contamination. The project requires 600 million euros in additional financing and is likely to miss the 2012 completion target by a few years because of problems such as radioactive debris encountered during excavation works. Ukraine hopes to raise most of the funds at an international donors conference set to take place in Kiev next month on the eve of the 25th anniversary of the grim event. Officials say Ukraine is likely to spend billions of euros on confinement upkeep costs before it finds a way to bury the reactor components, perhaps under layers of underground granite rocks. Even then, the area around the plant will remain unsuitable for thousands of years. Asked how long before people can settle down and grow crops at the site, Chernobyl power plant director Ihor Gramotkin said "at least 20,000 years." Yury Andreyev, shift chief at the plant's Reactor No. 2 on the night of the explosions and now head of a nongovernmental organization representing the interests of those who fought to control the disaster, sees no danger of the Japan drama taking on the seriousness of Chernobyl. "The scale of the destruction [in Japan], both nuclear and radiation, is 10,000 times lower that what happened to us in Chernobyl. About 30 tons of nuclear fuel was discharged [at Chernobyl]. Here [in Japan] there was not the same discharge," he told journalists. Despite the scale of the Chernobyl disaster, both Ukraine and Belarus still rely heavily on nuclear energy, having no developed hydrocarbon resources. In the coming months, both plan to borrow billion of dollars from Russia to finance the construction of new reactors of Russian design. But that doesn't mean people have forgotten. Locals in Kiev, 80 kilometers from Chernobyl, will still tell you that they heard no birdsong in spring 1986 and that the leaves of the elegant chestnut trees that line the city's boulevards turned yellow a month early. The disaster and the government's handling of it highlighted the shortcomings of the Soviet system with its unaccountable bureaucrats and entrenched culture of secrecy. Journalists subsequently uncovered evidence that the children of Communist apparatchiks had been evacuated well before others and some staff died at the plant because they had not been given orders to leave. Mikhail Gorbachev has since said he considered the disaster one of the main nails in the coffin of the Soviet Union, which eventually collapsed in 1991. The nuclear disaster in Japan is unlikely to break the country's political system. But Tokyo should not underestimate the profound power of a nuclear meltdown — physical and political. Unlike the nuclear crisis in Japan, which was caused by a natural disaster, the explosion and fire at the Chernobyl power plant on April 26, 1986 — the world's worst nuclear accident — was caused by human error. Facility operators, in violation of safety regulations, had switched off important control systems at the Ukrainian plant's Reactor No. 4 and allowed it to reach unstable, low-power conditions, according to a United Nations report. A power surge led to a series of blasts, at 1:24 a.m., which blew off the reactor's heavy steel and concrete lid and sent a cloud of radioactive dust billowing across northern and western Europe, reaching as far as the eastern United States. - The cloud of radioactive strontium, cesium and plutonium affected mainly Ukraine and neighboring Belarus, as well as parts of Russia and Europe. - Estimates for the numbers of direct and indirect deaths from the disaster vary. - The Chernobyl Forum — a group of eight UN agencies — and the governments of Ukraine, Belarus and Russia have estimated the death toll at only a few thousand as a result of the explosion. UN agencies say about 4,000 people will die in total because of radiation exposure. - The environmental group Greenpeace puts the eventual death toll far higher than official estimates, with up to 93,000 extra cancer deaths worldwide. - The Chernobyl Union of Ukraine, a nongovernmental organization, estimates the present death toll from the disaster at almost 734,000. - The disaster was the object of a cover-up by secretive Soviet authorities who did not immediately admit to the explosion. - The accident dented the image of reformist Soviet leader Mikhail Gorbachev, who had earlier launched his glasnost policies for greater openness in Soviet society. - Chernobyl engineers shut down the last functioning reactor, No. 3, in December 2000. Radioactive nuclear fuel is still being removed from the plant. - A makeshift cover — the "sarcophagus" — was built in six months after the explosion. It covers the stricken reactor to protect the environment from radiation for at least 30 years. This has now developed cracks, triggering an international effort to fund a new encasement. - Ukraine is seeking a further 600 million euros ($840 million) to help finance a new convex structure that will slip over the aging sarcophagus and allow the old reactor to be dismantled. - International donors are expected to agree to the funding at a conference in Kiev in April on the eve of the 25th anniversary of the disaster. - Officials say it could be up to 100 years before the station is completely decommissioned.